Overall, the meal is fine. 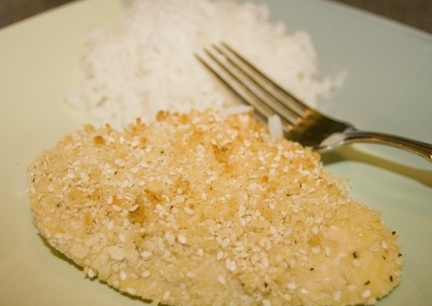 It doesn’t pack a whole lot of POW flavor, but the sauce is tasty, and the crunch on the bread of the chicken is nice. 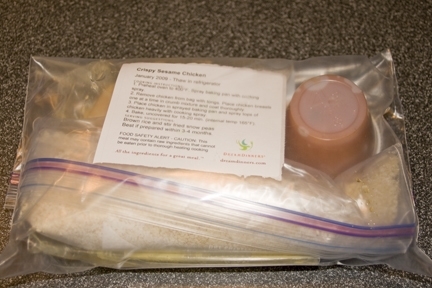 When breading your chicken, fold the edges of the bag holding the chicken & egg misture down to help keep the bag open. To bread, either fold edges of the breading mixture bag down, or pour onto a large plate.